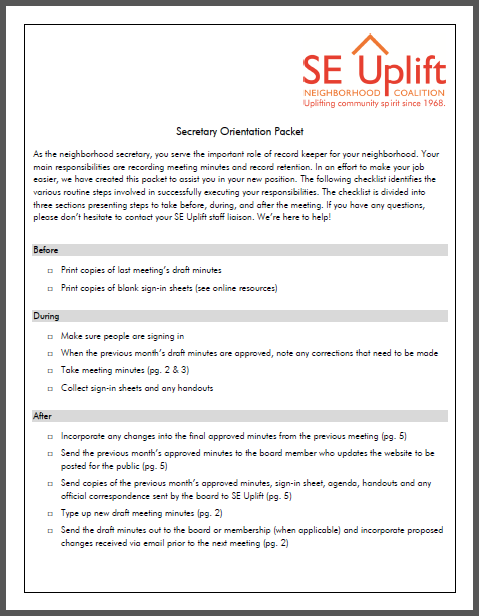 As the neighborhood secretary, you serve the important role of record keeper for your neighborhood. Your main responsibilities are recording meeting minutes and record retention. In an effort to make your job easier, we have created this packet to assist you in your new position.